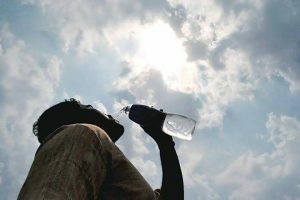 Temperatures in the summer season between April and June are expected to be above seasonal averages over most parts of the country, the India Meteorological Department (IMD) said on Sunday. “The upcoming hot weather season (April to June) is expected to have the above normal sub-divisional average seasonal temperatures over most of the meteorological sub-divisions of the country except the subdivisions of eastern, east central and southern parts for the country that are likely to experience slightly below normal seasonal temperatures,” the IMD said. However, the average temperatures in most of the subdivisions are likely to be cooler than that of last year. It suggests that warmer than normal temperatures are expected to prevail in most of the subdivisions with maximum anomalies in subdivisions from northwest India and north India. However, normal to slightly below normal maximum temperatures are likely to prevail over subdivisions of eastern, east central and southern parts of the country. © 2019 drtanveermalawat. All Rights Reserved.